RED OAK—The griddle begins to sizzle, coffee is brewing and gravy is being stirred. 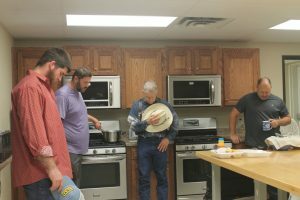 Several members of Red Oak, First’s Baptist Breakfast Club (BBC) gather in the kitchen of the church’s Life Impact Center early every Sunday morning to prepare breakfast for homebound citizens. sausage, eggs, pancakes, biscuits and gravy (area favorite delicacies) for senior citizens. Red Oak is located in Latimer County, 14 miles east of Wilburton. The breakfasts are packaged in to-go boxes, and a label with a Scripture is attached to each. As the men finish their duties, the delivery crew arrives. Led by Rosalie Garner, the children gather church bulletins and load the boxes and bottles of orange juice into her car. 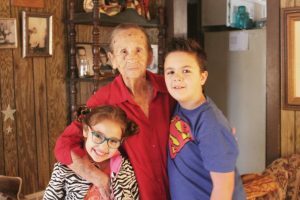 Methodically they travel from house to house, knocking on doors to deliver the breakfasts with a smile and “God bless you.” The children even gather newspapers from boxes and deliver to the waiting resident. Garner works to find area residents who would benefit from the Sunday morning deliveries. The ministry averages 17 breakfasts delivered each week. Only one delivery is to a member of Red Oak, First. The others are residents who might otherwise not receive a hot meal or visitor on the weekend. The children get lots of hugs while delivering. mission trips to Haiti and one to China. ROFBC plans to celebrate the Breakfast Club during the evening worship service on Sun., Feb. 26. 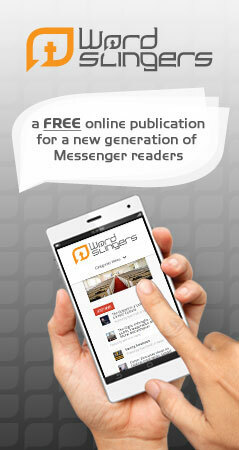 View more articles by Linda Morgan.